Cumberland Gap, Tennessee is of course famous as part of a historic route through the Appalachian Mountains, but it was also the location of a junction between the Louisville & Nashville's branch from Corbin to Norton, Kentucky and a Southern Railway branch from Knoxville, Tennessee to Middlesboro, Kentucky. In this view looking south from U.S. Route 58 (also known as Wilderness Road), the Southern Railway is at right with the Louisville & Nashville on the left. 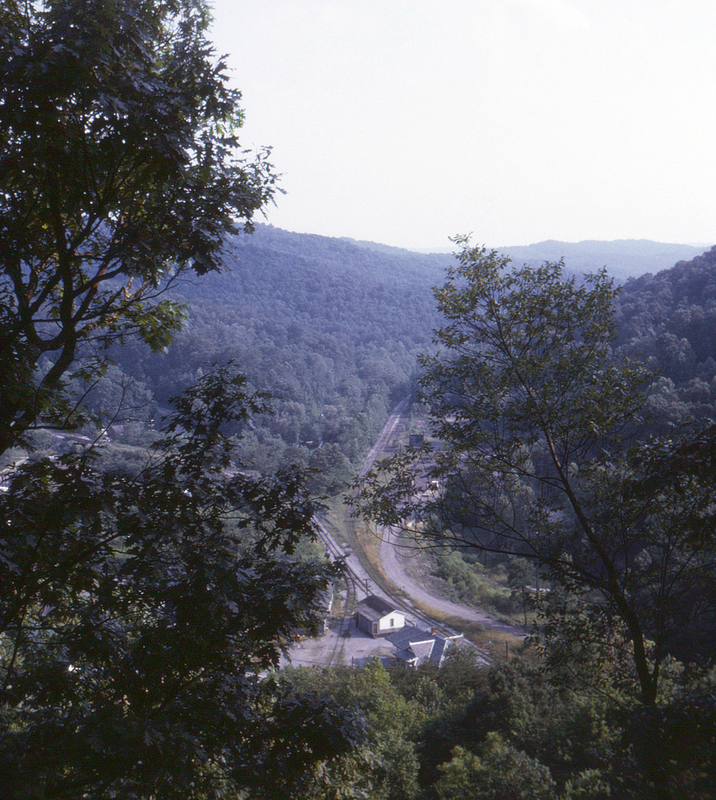 The L&N and Southern shared use of a tunnel (out of sight at the bottom right) extending to just south of Middlesboro; the short bit of L&N trackage at the lower left was a stub track.